Opening night of the high school football season on the brand new John L. Lewis Memorial Football Field at Harding High School in Bridgeport on Friday, Sept. 7, 2018. BRIDGEPORT — Along with all the other positions the school district has had to part with due to budget cuts was the district’s athletic director. In doing so, the city school board was able to shave $150,000 off of the millions it was trying to cut when salaries and benefits are included. 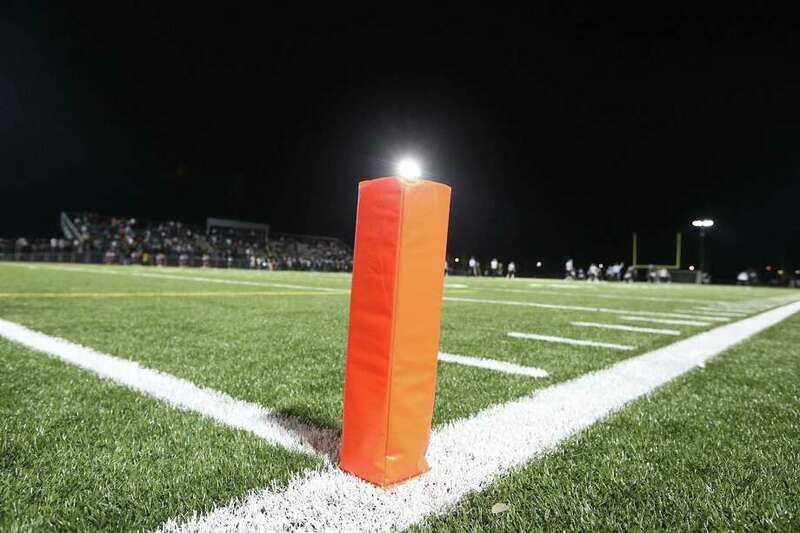 Now, the athletic director’s duties, including scheduling games, making sure fields are in shape, coordinating team transportation, arranging for referees, taking care of gate receipts and keeping up with paperwork fall to the district’s three high school Athletic Directors. The high school A.D.’s are actually teachers with extra duties for which they received stipends. The agreement comes after the Bridgeport Education Association challenged the additional duties foisted upon the AD’s in a directive by Superintendent Aresta Johnson in October. As teachers, the school AD’s can not evaluate coaches as the former district athletic director and administrator could. Gary Peluchette, president of the Bridgeport Education Association, said former District AD Chris Johnson (no relation to the superintendent) also wrote grants for the city’s athletic program that last year reportedly brought in double his salary. That isn’t happening this year. The school board last week agreed to bump up the stipends of Dan Coleman, Andrew Grasso and Patrick O’Rourke — school athletic directors at Central, Harding and Bassick respectively — from $5,800 to $15,000 for the 2018-19 school year. “The AD’s agree to the new stipend for this year only so that students would be able to participate in after school athletics,” Peluchette, said. It is unclear how many students participate in after school sports in the district. The two sides agree to negotiate further for the next school year. When approved at a special meeting on January 23, the school board refused to publicly discuss the agreement or immediately release it. Board Chairman John Weldon would only characterize it as a fair deal that offered extra compensation for extra work.